Welcome welcome. There were so many great links last week which made it really easy to choose some to feature. 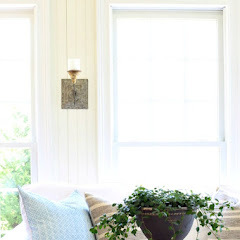 The link with the most views ever at one of my parties is the beautiful kitchen/breakfast room reveal shared by Barb of The Everyday Home. As of 5-7 there were 511 views! 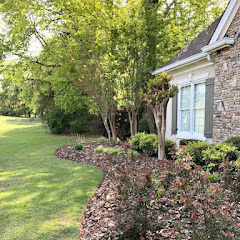 Richella of Imparting Grace shares her beautiful porch makeover. 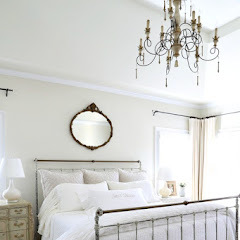 Wonderful bedroom transformation by Kristin of Simply Klassic Home. 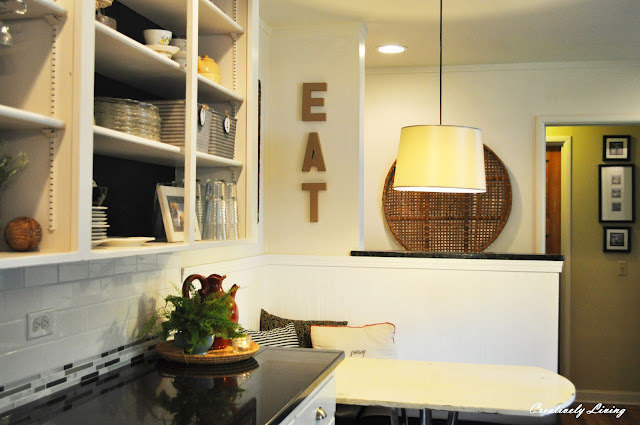 Love this shot of Kathy's cabinet transformation with the breadboards above it. You can check it out at Kate's Place. Kayboo Creations created this cute car for a prop in her kid's show. You must see what it is made from. Who wouldn't want a butler's pantry like this. Check it out at UpCountry Olio. Beautiful dining room shared by The Velvet Door. What grand girls wouldn't enjoy a sleep over in a pretty room like this. You can see more at Nancy's Notes. 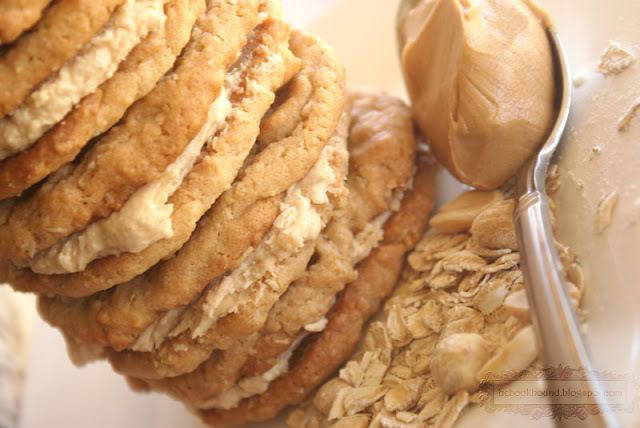 These wonderful looking oatmeal and peanut butter cookies were shared by Be Book Bound. If you were featured please grab a featured button from the sidebar. 1. Please have a link in your post to this party or add my party button from the sidebar. Great features Kim. Love the big breadboards! Those are such great features Kim. I feel like I've been away forever, I've got a lot of catching up to do.Love those gorgeous pics of Layla. Thanks for hosting and have a great evening. Great features.LOVE Kathy's bread boards.Thank you for hosting. Great features, as always Kim! 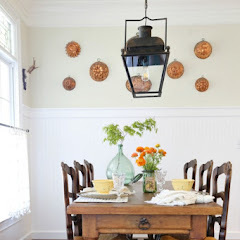 Love Barb's kitchen, the union jack headboard and I want one of those amazing breadboards! Howdy Kim! Great links out there! Thanks so much for hosting! Oh wow! So many gorgeous homes! Lovely features. Thanks for hosting! Thanks so much for the great features! 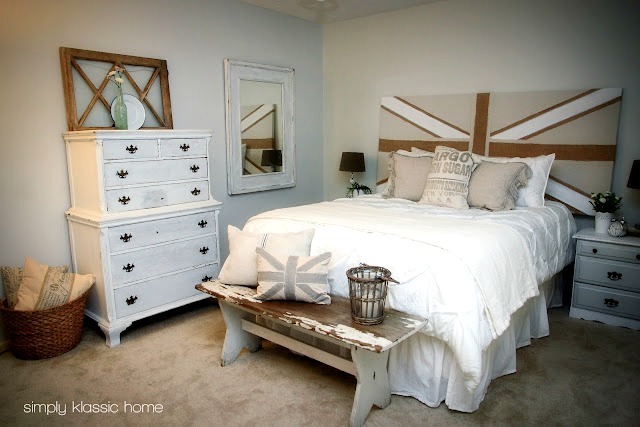 I love that union jack headboard! Fabulous features from last week, Kim. Thanks for hosting. Thanks for hosting the party. Super features this week. Entranced, observing all the images. Absolutely beautiful, every corner! AWESOME features Kim! Thanks for hosting! gosh, there is so much talent out there! 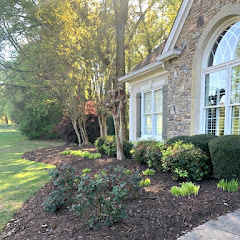 just linked up, thanks for hosting, Kim! Kim, I always look forward to WOW! WOW Kim, the features are awesome! thanks for hosting! Great features, I specially love the butler's pantry. I got a reval myself for this week's fab party WUW, because I am so thrilled we finally did it! Thanks for hosting and having me with my den's new look. Enjoy the rest of the week. I'm lovin' the cutting boards on that one feature! Thanks for hosting, Kim! Those bread boards are great as are all the features! Always so much to see, Kim. Thanks for hosting each week and for all the work you put into getting the link party up. Leila is adorable with the cutest little nose. She seems to have a real personality. Thanks for hosting, I haven't partied for a while, but I've been enjoying the inspiration! Blessings! Great features this week. Those cookies are making me hungry! Thanks for hosting your great party, Kim! My goal in life today was to get a new blog post done to be able to participate in WOW. I looked back at a couple of your previous posts too...Leila is just TOO cute and your photography of her is great. 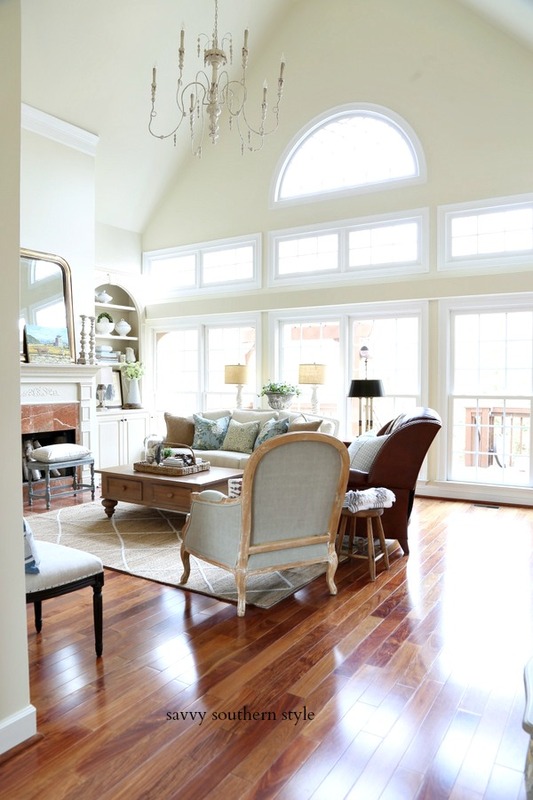 I do love how the balusters on your dining room table look now...more like they fit in. Thanks for the weekly party, Kim. Nice features. Oh my goodness! What great selections. I want a guest room with twin beds now! So many great ideas! Thank you for hosting! Kim, can't wait to prowl through this week's links! Thanks for hosting Kim! LOVE the features. Thanks for hosting Kim! Enjoy your week! Amazing feature and a great time! Thanks Kim! Oh my gosh those cookies look so good! Great features - thanks so much for hosting! HI Kim gorgeous features as ever. And your little granddaughter in yesterdays post....adorable. Thanks again for hosting Kim. Such great features. I love the butler's pantry. Another great week. Would you please wrap it up and send me the butler's pantry- puh-lease!? What a nice surprise! 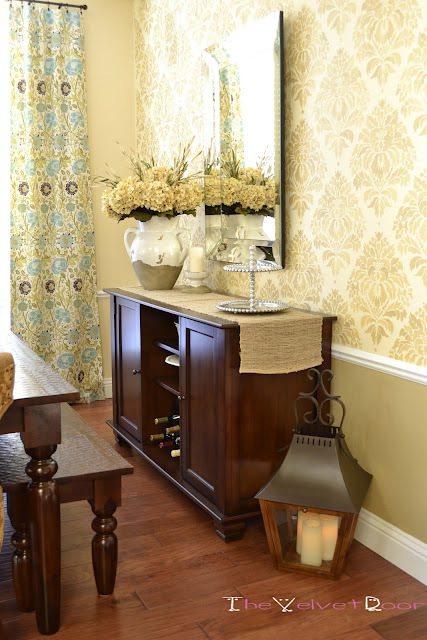 I came over to link up to your party for this week, and saw my dining room featured!!! I was just thinking what great choices you had made, so thank you for including mine as well. Have a great week, and thanks for hosting! So many wonderful features to check out! Thanks for hosting,Kim. Haha...so much for being on time. Thanks for hosting and I'll try to be prompt next week! Thank you so much for featuring my bedroom Kim!!! Wish I had something to link up this week...Next week for sure. But I'm off to check out everyone else's projects now! This is always such a great link party! Thanks for all you do and the feature on my pantry this week! Wish I had one of those cookies right now. So many pretty spaces. Thank you for hosting and thank you so much for featuring my kitchen! There were so many incredible spaces in those features! Thanks so much for hosting each and every week! Thanks so much Kim for featuring my cabinet.All the features are beautiful. I love the features you chose. Makes it fun to come back and see the who's who. Once again, I appreciate you having the party! Kim, lovely features, thanks so much for hosting! I can see why the dining room was the most viewed, it looks great. 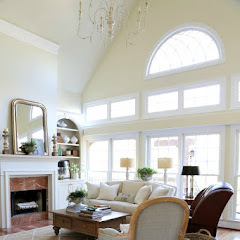 Followed closely by that sun porch and as usual all the features provide decorating inspiration. 'Cept those peanut butter cookies..... eating inspiration. You always have the best features! Thanks for hosting today's party. Kim, I can't thank you enough for featuring me! You are so kind, and I appreciate you! I need to get my post written for today's WOW--I'm behind this week!! I'm late to the party, but I finally made it, yay!! I always enjoy your party every week. gorgeous features Kim! Can't wait to check them out! Thank you so much for hosting! Wow Kim! These are the best features ever! Thank you for hosting! Time got away from me and did not get a post done in time for your party...next week.. Thanks for hosting, Kim! 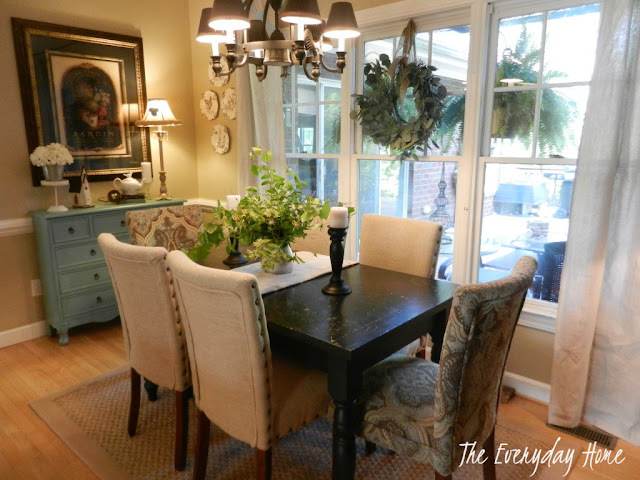 I love Everyday Home's dinning room! So pretty! The photos of your granddaughter in the last post are just precious! What an angel face she has! I know you are one proud grandma! I am new to the party but am linked up and joined as a follower. Thanks for hosting! Kim! !~!~ Oh my word!! I'm thrilled to be one of your features!!! Aww, I'm so honored!!!! You are the an amazing hostess and blogger! Thank you, Kim!!! Great job. Thank you Kim for hosting the party each week and for all the fabulous inspiration and creativity shared. Barb's dining room is beautiful! Thanks for hosting, Kim. Great features, I love Kristen's bedroom! I will have to check the links tomorrow, have to give some attention to the husband that just got home! Thanks for the feature Kim, the car was a big success, the audience gasped when it came on stage. Love your blog and thanks for hosting such an awesome party.